Our firm has a rich history of not only professional legal service to South Florida, but, as importantly, a commitment to support the community we serve. 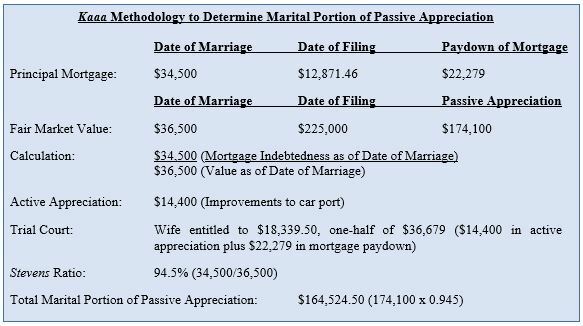 Below is a representation of our firm’s recent engagements in support of various efforts throughout our South Florida area. 11/15/18 – Thanks to our generous staff and attorneys, Brinkley Morgan provided nearly 600 pounds of non-perishable food for our Thanksgiving Food Drive benefiting the food pantry at Boca Helping Hands! 10/22/18 – Brinkley Morgan held its 4th Annual Halloween Costume Drive for Children’s Diagnostic & Treatment Center (CDTC) in Ft. Lauderdale! Attorneys and staff once again donated a wide variety of costumes and delivered them to the boys and girls at CDTC, a non-profit organization that serves more than 11,000 children with special healthcare needs in Broward County annually. 4/30/18 – Brinkley Morgan hosted a Children’s Book Drive for the Literacy Coalition of Palm Beach County, a non-profit organization committed to ensuring that every resident of Palm Beach County is able to read. 2017 Back-To-School Drive for Kids in Distress, Inc.
7/28/17 – Brinkley Morgan hosted a back-to-school charity drive for children whose family situations make obtaining essential school supplies challenging. 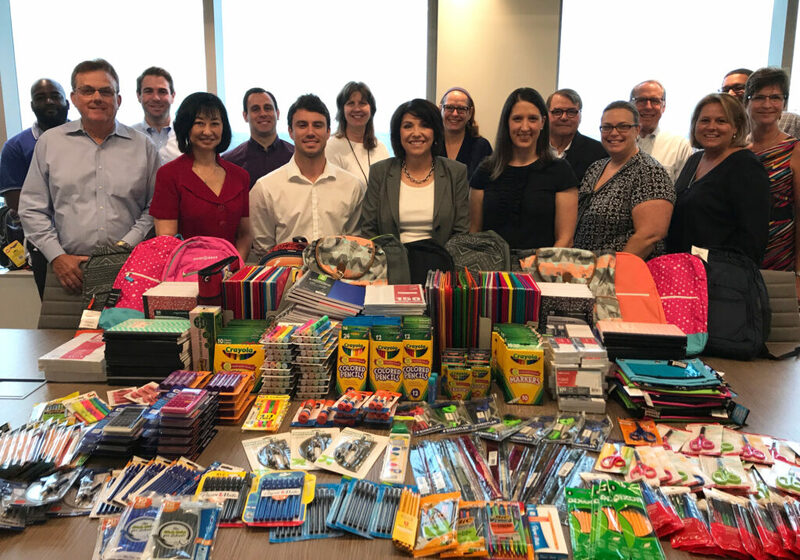 Attorneys and staff collected backpacks and hundreds of school supplies, including notebooks, paper, pens, pencils, index cards, folders, rulers and calculators, which were delivered to Kids in Distress, Inc. just in time to prepare for the new school year. 4/6/17 – The Brinkley Morgan team participated in the Mercedes-Benz 2017 Corporate Run in Ft. Lauderdale, Fla.
12/3/16 – Brinkley Morgan attorneys and staff helped “Light Up the Village” at SOS Children’s Villages – Florida’s annual holiday event. 10/18/16 – Brinkley Morgan held its 3rd Annual Halloween Costume Drive for Children’s Diagnostic & Treatment Center in Ft. Lauderdale, Fla. Attorneys and staff donated and delivered new and gently used costumes to the children just in time for Halloween. 10/23/15 – Brinkley Morgan attorneys and staff donated and delivered new and gently used costumes to Children’s Diagnostic & Treatment Center in Ft. Lauderdale, Fla.
4/2/15 – Brinkley Morgan team at the 2015 Corporate Run in Ft. Lauderdale, Fla.
2/24/15 – Brinkley Morgan recently organized a team of more than 40 runners to participate in the 13th Street Alliance’s Funky Fun Run 5K in Fort Lauderdale. 4/15/15 – Brinkley Morgan recently participated in the seventh annual Miami Beach Gay Pride festival at Lummus Park in Miami Beach, Fla. on April 11th & 12th. 12/18/14 – Brinkley Morgan hosted a holiday food drive for Pantry of Broward. 12/10/14 – Brinkley Morgan attorneys and staff recently wrapped and donated more than 50 new gifts for the Boys & Girls Clubs of Broward County’s Adopt-a-Family for the Holidays program. 12/8/14 – On Saturday, Dec. 6th, Brinkley Morgan attorneys and staff participated in SOS Children’s Villages – Florida’s “Light Up the Village” event, where they helped families hang holiday lights and decorations on their homes. 10/21/14 – Brinkley Morgan recently organized and hosted a Halloween costume drive to benefit Children’s Diagnostic & Treatment Center, a not-for-profit organization that serves more than 11,000 children with special healthcare needs in Broward County annually. 9/22/14 – Brinkley Morgan attorney George J. Taylor (pictured fourth from the left) is currently serving as Chairman of the Broward Health Foundation’s KIDS Campaign, a new campaign designed to help Broward Health Medical Center raise funds to renovate and expand its 125-bed acute care children’s hospital. 4/16/14 – The Brinkley Morgan team participated in the 2014 Mercedes-Benz Corporate Run 5K on April 3rd in Fort Lauderdale. 12/5/13 – Brinkley Morgan recently celebrated the grand opening of our new Boca Raton office with a food drive benefitting Boca Helping Hands, a community-based charity that provides food and emergency assistance and job mentoring services to meet basic human needs. Attorneys and staff at our Fort Lauderdale and Boca Raton offices collected nearly 1,000 pounds of food that will be distributed to clients in need at the Boca Helping Hands’ Food Center. 7/24/13 – Brinkley Morgan recently hosted a Back-to-School drive benefitting ChildNet. 6/11/13 – Brinkley Morgan team at the 2013 Corporate Run in Ft. Lauderdale, Fla.